Holy Smokes ! 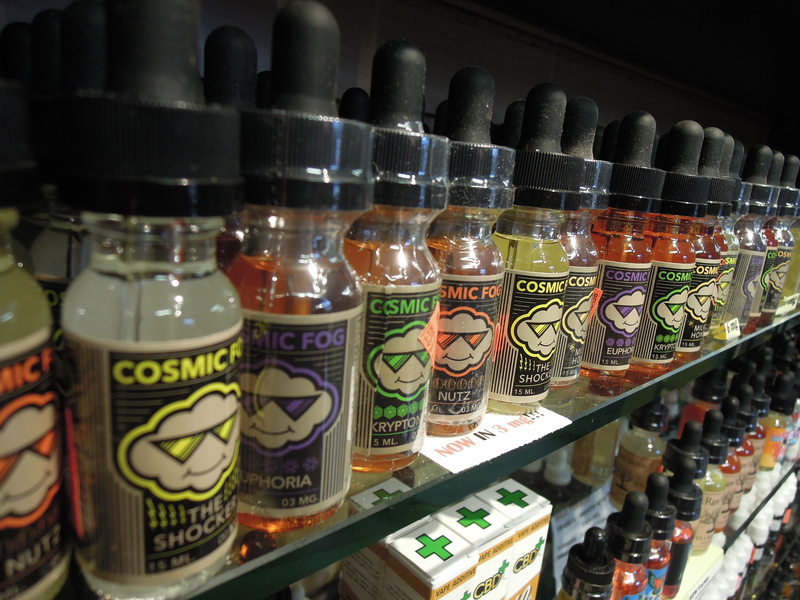 You should check out our Vape Shop! 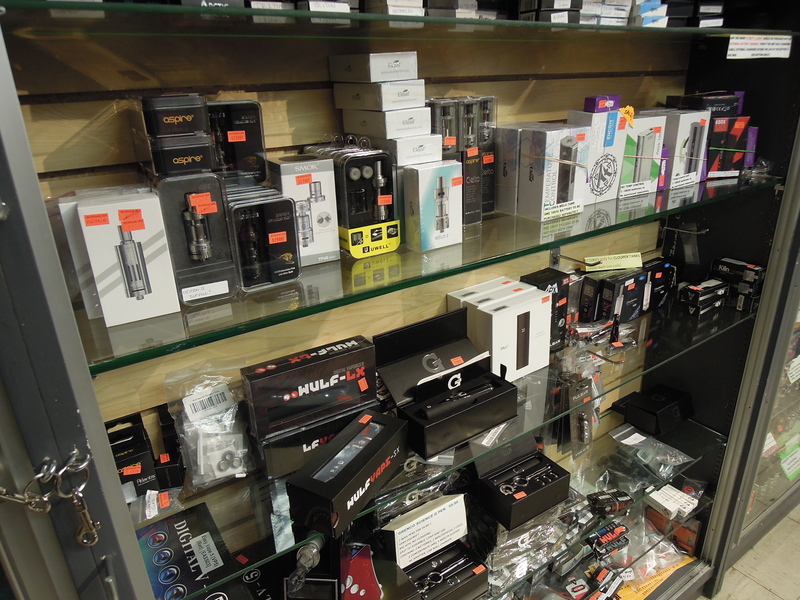 We are proud to admit that we have the biggest and best Vape Shop in the entire region! 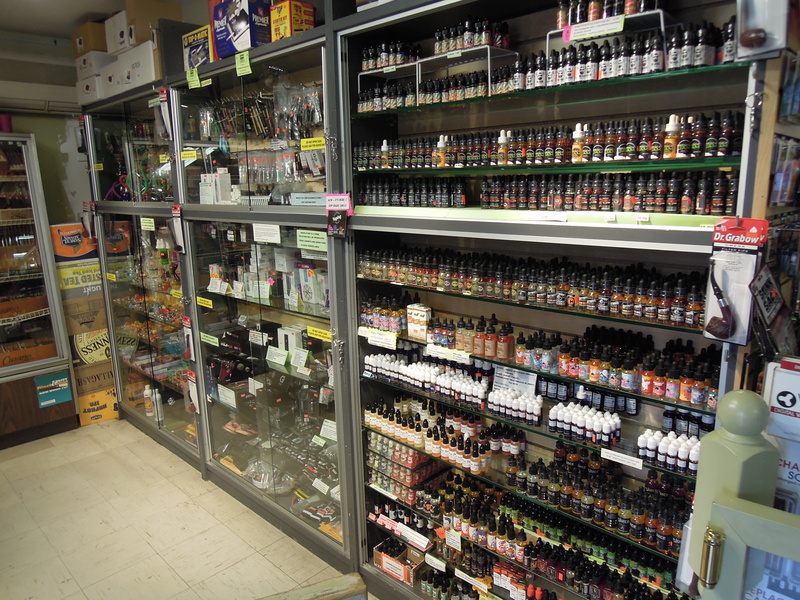 Our patient and knowledgeable staff can help guide you thru the introduction of vaping. We even have demo vape pens with disposable tips for sampling ! C’mon…time to ditch that nasty cigarette habit and move toward a better alternative. 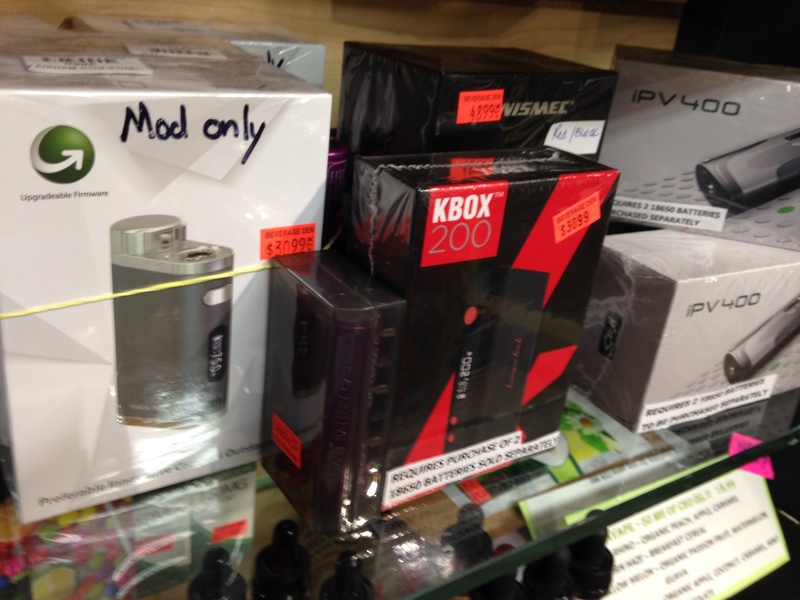 Vapes can offer you several different levels of nicotine and can even help you quit smoking altogether. 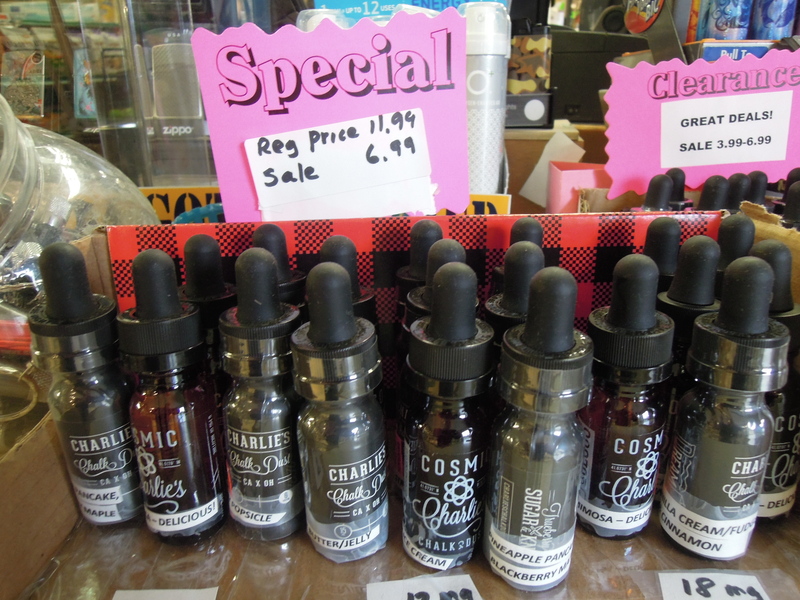 Or if you are already a vape user, come see our incredible selection of juices (over 1,000 in stock! 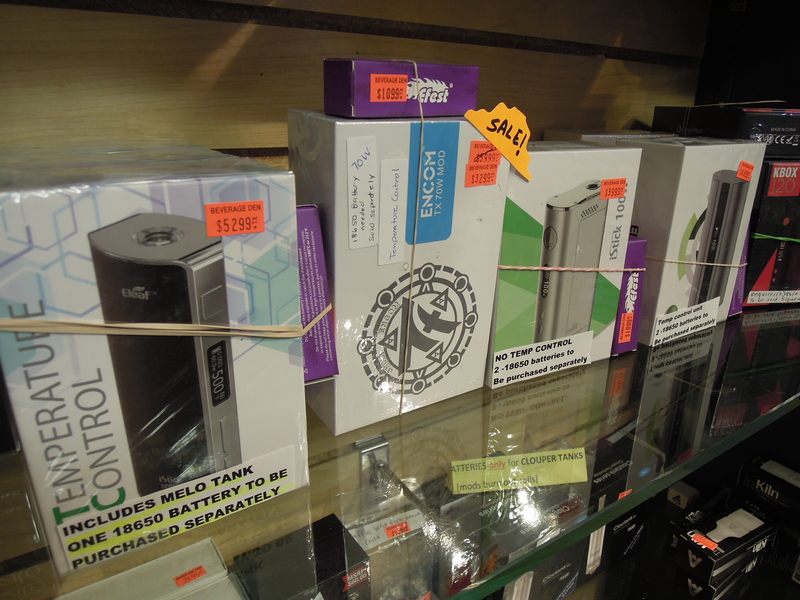 ), accessories, replacement batteries etc. 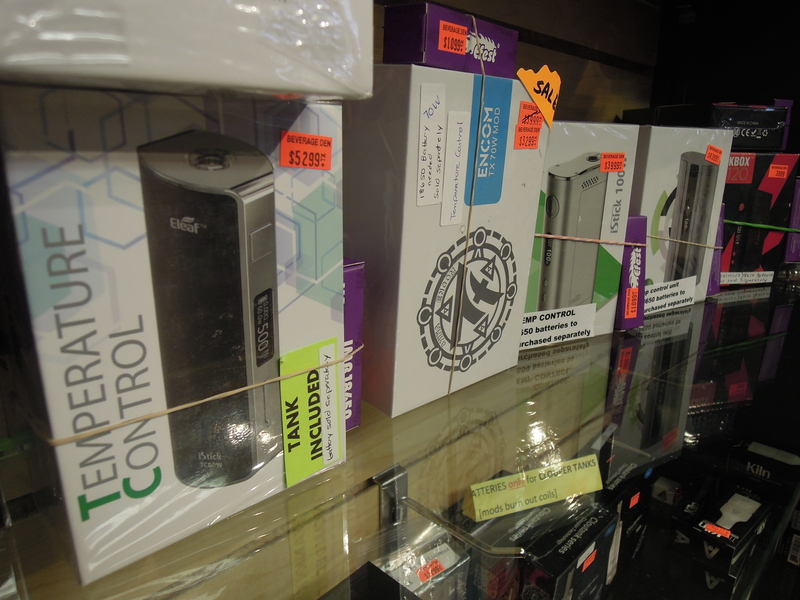 At the Vape Shop, we always have a huge inventory of box mods, batteries, replacement coils, tanks, starter set ups, dry herb /wax /concentrate devices etc. 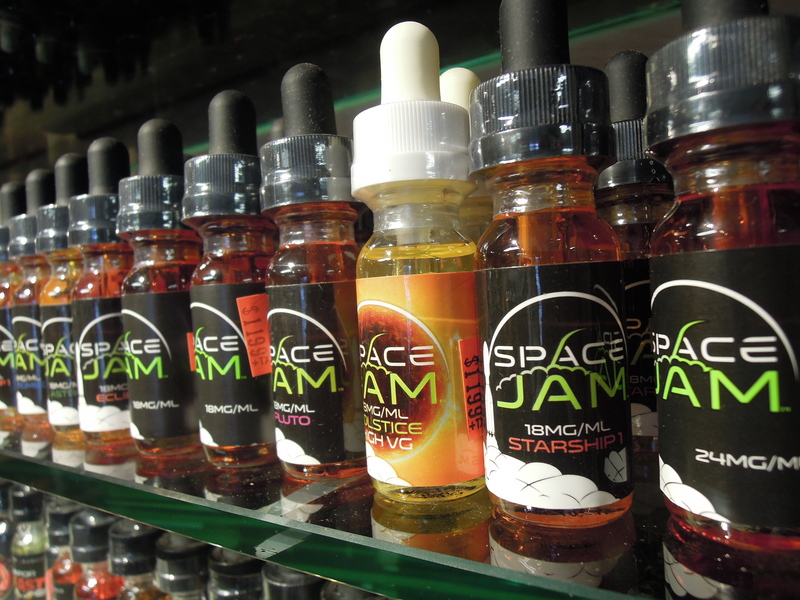 Ask about our Vape Loyalty Card program.